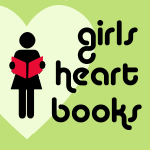 I'm over on Girls Heart Books today with A Wednesday Challenge - come on over and Try This! Tales from the Turrets Competition! Here's your chance to win a copy of three books in one - The Ferret Princess, Wag and the King, and The Mucker's Tale, all rolled up in Tales from the Turrets - in Girls Heart Books' February Competition! But hurry - the deadline is Thursday 28th Feb. at 7 pm. Joan Lennon's writing is often witty, but she's downright funny in this collection of stories - 'The Ferret Princess', Wag and the King', and 'The Mucker's Tale' (previously published separately) - ideal for 6 to 10s, and for adults reading aloud who enjoy hamming it up a bit. There's plenty of irreverence and rudeness ('The Mucker's Tale' is ... well, particularly mucky) which we know appeals to that age-group, but the stories have real substance because of the great characters she creates. Scoular Anderson's line drawings are idea - adding to the overall hilarity. If you're within hailing distance of Edinburgh, give a thought to visiting Gray's School of Art Pre-Degree Show here. Obviously I think artist son Thomas' was the best but there is A LOT of really fascinating art work to be seen! The show runs from 23 Feb. - 3 March. P.S. Earlier this week I blogged some more about the marvelous Miss Martineau on An Awfully Big Blog Adventure. ONE - an eight-sided Unitarian Chapel called the Octagon. Harriet Martineau (see last week) came here as a child, sat in the wooden box pews and dreamed of angels coming through those small dormer windows at the top to collect her. I did the same Sunday morning, and was warmly welcomed, but no immortal gathering-up ensued. Harriet loved music but lost her hearing gradually and almost completely during her teens. Towards the end of that time she would go to concerts and press her shoulder blades into the wooden back of her seat. She said she could catch some sense of the music this way. I sat in the medieval stalls, enveloped by the superlative choir and velvet organ, and tried to do the same. Listening for Harriet. Bittersweet. How does a city’s biography inform its current life? What stories are told by places, and by people, past and present? What stories do they inspire in you? 26 Writers Norwich is a collaborative writing project which pairs contemporary writers with Norwich writers, all of whom pioneered an idea, or an institution, sometimes both. ‘The least religious city’ in England and Wales (2011 Census) was home to Bishop Herbert de Losinga, whose cathedral houses a world-renowned library; Julian of Norwich, the venerated Christian mystic whose books are the first written in English by a woman; and Elizabeth Fry, the renowned Quaker social reformer and prison reformer. Literary luminaries from the last 900 years include Britain’s first Hebrew poet, the “father of the English sonnet”, the author of Black Beauty, and the first Creative Writing scholar. Radicals pepper the Norwich archives – in journalism, feminism, science, sociology, philosophy, politics and education. Poetry blossoms and blooms in new forms. Novels break the rules. Folklore abounds and maps flourish. Is it any wonder that Norwich today is England’s first City of Literature? Another wonderful 26 project! I've been paired with Harriet Martineau, 1802-1876, said to be the founder of sociology and the inspiration for the ghastly Mrs Jellyby in Dicken's Bleak House. "Dry for days" do I hear you say? You might think that, but you'd be wrong. "Prove it!" you say? That's my plan. Starting this weekend. An atmosphere- and information-trawling expedition will ensue. A meeting in a cafe with a young poet from the Cotswolds has been arranged - it's not just dead people we've been twinned with! And I'm going to write a piece to make you like Harriet as much as I do. P.S. Other 26 projects I've had fun with are 26 Treasures and 26 Stories of Christmas. *Is it an indie band? And if not, why not? 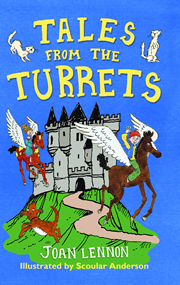 And here it is - Tales from the Turrets - the brand new home for The Ferret Princess, Wag and the King, and The Mucker's Tale. Is it an omnibus? Is it a bind-up? Yes, it is. Enjoy!